For emergency lock out situations the team of experts here is a highly recommended choice. With good reputation and rapid response times in dire situations we provide fast service, and guaranteed access. So finding yourself locked outside of your own home is not something which have be major inconvenience for you, just make sure that you get the number for your locksmith Southend-on-Sea saved, and have it ready, just in case of an emergency scenarios. As they seem to happen at the worst possible times and are always a bad surprise. If you have any other inquiries, the Southend-on-Sea team can also be of assistance, please feel free to get in touch today. 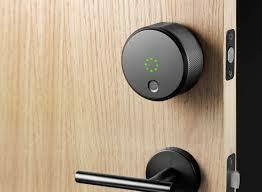 There is a new product out on the market, which may be suiting to you if you are the user of a smart device or alike. 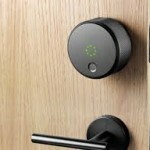 The type of smart lock that locksmith Southend-on-Sea is referring to here is a kind which recognises the corresponding device, and the lock on the door cannot be opened if it’s not close at hand. Of course locksmith Southend-on-Sea sees a couple of couple of difficulties with this type of lock as it can cause issues should you misplace or forget your device, however from a security point of view it’s a very good option.